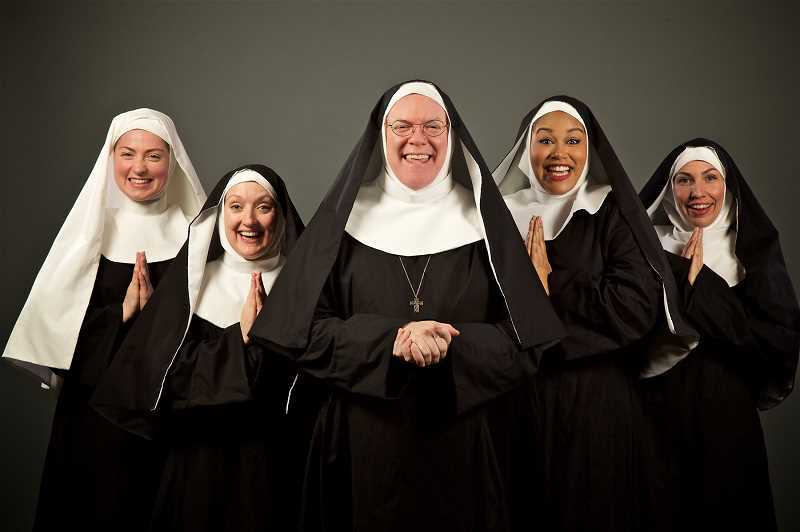 For Dan Murphy, having "Nunsense" open the 28th season of Broadway Rose Theatre Company made perfect sense. The theater has performed the raucous Dan Goggin-written comedy twice before. "We actually did it our first season in 1992 and then we revised it, revived it, again in 2005 at Deb Fennell; although the space over here at the new stage is ideal for a show like this," said Murphy, Broadway Rose co-founder. "It's a little smaller, it's a little more intimate and it's a five-person show and really lends itself to this venue." While mulling whether to revisit the show featuring the Little Sisters of Hoboken (who are planning a variety show to raise badly needed funds for their convent), Murphy and his staff kept asking one question — what can we do to give the performance a new twist that would entice people to turn out? "That's when I said, 'What do you think if I played Reverend Mother?'" said Murphy. "So we went, 'Well, that would definitely be a different twist.'" And that's how Murphy came to play the head nun in what has become the second longest-running Off-Broadway show in history. Still, there were a couple of hurdles to overcome, not the least being whether under their licensing contract it would be OK to substitute him in what's traditionally female role. But soon they were given enthusiastic approval from New York to go ahead with the musical, which — over the last three decades— has resulted in six sequels and three spin-offs (one of which the women's roles portrayed as men). Which begs the next question. Is this a first for Murphy? "It's the first time playing Reverend Mother but I got to tell you, it's not my first drag because a number of years ago — I think it was 2011 here at the Broadway Rose — I played Edna in 'Hairspray,'" he said. "The nice thing is, Reverend Mother doesn't have to wear those heels." Having been raised Catholic, what Murphy likes about "Nunsense" is that while the show pokes fun at the largest Christian religion in the world, it's done in "a very loving way" and is not a slam against the religion. It's a show, he said, that has lots of laughs along with having some very poignant moments to it. "There's something about nuns singing and dancing that just is funny," he pointed out. "You don't have to grow up Catholic to appreciate it." Murphy said he doesn't really wear heavy makeup to portray Reverend Mother, joking that since he performs so near to the audience in the Broadway Rose's setting, his greatest concern is making sure he avoids a 5 o'clock shadow. In addition, he doesn't change his voice, learning from his "Hairspray" performance where he initially found himself talking like "Mrs. Doubtfire" before realizing his normal voice would work just fine. "We never refer to the fact I'm a man, I'm just out there playing Reverend Mother," he said. In addition to Murphy, the cast includes Antonía Darlene, Laura McCulloch, Danielle Valentine and Malia Tippets (a Tigard resident). He pointed out that "Nunsense" is a whole cottage industry of other different versions, noting that there is a version of the musical played all by male leads. "You can do a whole season of just 'Nunsense.'" Murphy said Grace O'Malley, Broadway Rose's costume designer, had to add even more material than a normal head-to-toe nun's habit so it would allow the actors to have more room to "kick a leg," jump up and down, tap dance and generally move around. 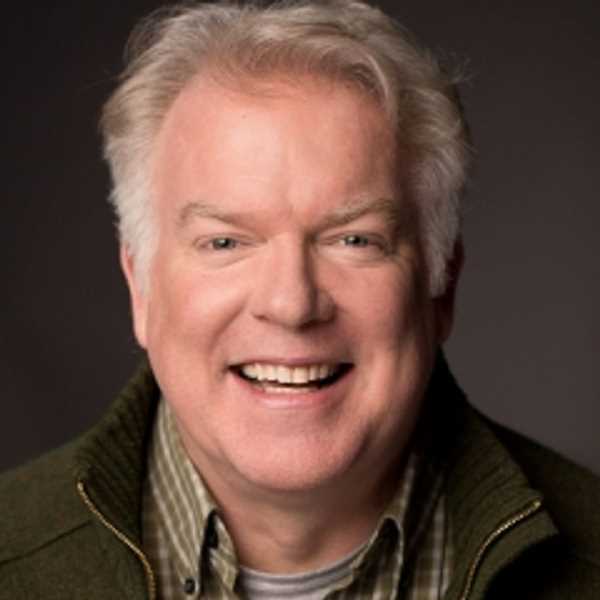 Directed by Murphy's wife and Broadway Rose co-founder Sharon Maroney, music direction for "Nunsense" is by Jeffrey Childs. Murphy does the choreography and members of the creative team include Larry Larsen, set designer; Jeff Forbes, lighting designer; Brian K. Moen, sound designer; Liz Carlson, prop designer, and Jessica Junor, production stage manager. Although running for five weeks — performances are from Jan. 24 through Feb. 24 — tickets for the 2-hour, 15-minute production (with a 15-minute intermission) are selling fast. "Tickets sales are going so well right now there's always the possibility of us adding shows," Murphy said. Tickets are priced from $30 to $48 for adults (depending on date) with tickets in the upper section for those age 6-18 are $20 and those ages 19 through 30 are $25. Discounts are available for groups of 10 or more. $5 tickets are available for Oregon Trail Card holders through the Arts for All program. For a full listing of show performances or to order tickets visit broadwayrose.org, call 503-620-5262 or visit the box office at 12850 SW Grant Ave. in Tigard. For a list of performances and prices, visit www.broadwayrose.org, call 503-620-5262 or visit the box office at 12850 S.W. Grant Ave.